I am a fifth generation Texan, I was born in Houston and but for my college years have lived in the Houston area my entire life. As a youngster, life was pretty simple-school, sports and outdoor activities seemed to fill most every day. 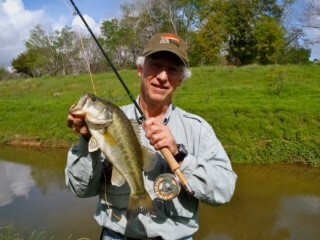 Like many, my interest in fishing began fishing ponds and lakes with worms, minnows and grass hoppers. Eventually, I progressed to lures and soft plastics and then, ultimately, fell under the spell of fly fishing. My college years resulted in a law degree and a 30 year career practicing law. Along the way, I got married and was blessed with two fine children-a daughter and a son. 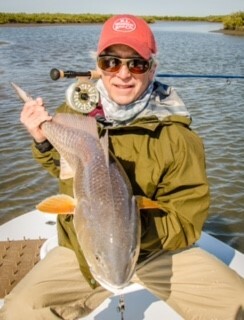 Although with professional responsibilities and a young family the pace was pretty fast and life very hectic, I began to routinely fish the Galveston Bay complex and, in the early 80’s, was invited to fish the White River in Arkansas. As a result of that invitation, I walked into the old Orvis store in Houston and bought an entry level fly rod kit which came complete with an instruction manual. Within a matter of hours, I was out in the street with my new outfit and manual; fly line slapping the concrete, as I tried to learn how to cast. I also decided that since I was going to be a fly fisherman I should join the Texas Fly Fishers which I did; although, my participation in the club at that point was limited, primarily, to reading the club newsletter, The Windknots, which I received in the mail. The trip to Arkansas was just a nibble of what was to come. As my children grew older, we began taking family vacations to Montana which gave me the opportunity to fish the waters of the Madison, Yellowstone and Big Hole Rivers along with the legendary DePuy Spring Creek. I’ll never forget fishing dry flies in the middle of an afternoon hatch on the Big Hole absolutely spectacular. I had truly come to love the opportunity fly fishing provided to get out doors and over the next decade or so continued to get on the water whenever possible. I spent a week fishing for lake trout on Great Bear Lake, N.W. Territories, Canada; made several trips to Islamorada, Florida to search for tarpon, fished Henry’s Fork in Idaho and continued to fish the Gulf Coast of Texas and Louisiana. In the late 90’s I had the boat bug pretty bad and was attending a Coastal Conservation Association (CCA) banquet when a tall stranger sat down beside me. This fellow explained that what I really needed was a kayak. 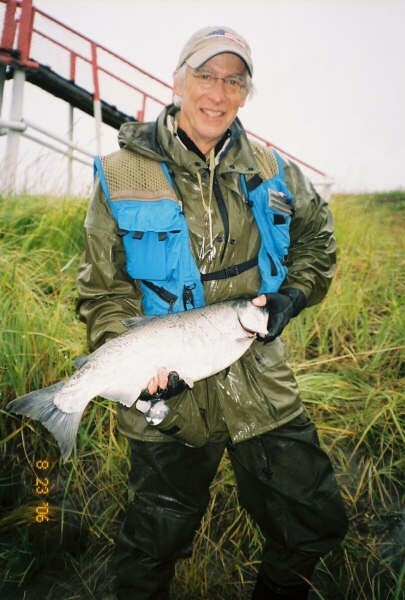 The tall stranger turned out to be TFF member Barry Sandler who eventually suggested I attend a meeting of PACK (Paddling Anglers in Canoes and Kayaks) and who eventually became my wingman for many fishing adventurers. We have since spent many, many, days on the water camping and fishing up and down the Texas coast and on the Guadalupe and South Llano Rivers. Additionally, we spent a week fly fishing in Alaska and then a few years ago made a major bucket list check off when, along with current TFF members Greg Corbett and John Staggerwald, we spent a week with no guide in the very remote and isolated Quetico Boundary Waters region of Ontario, Canada traveling by canoe, camping and fishing for small mouth bass, pike and muskie. The kay ak bug bit pretty hard and allowed me to meet others who also enjoyed the peace on the water provided by kayak fishing. 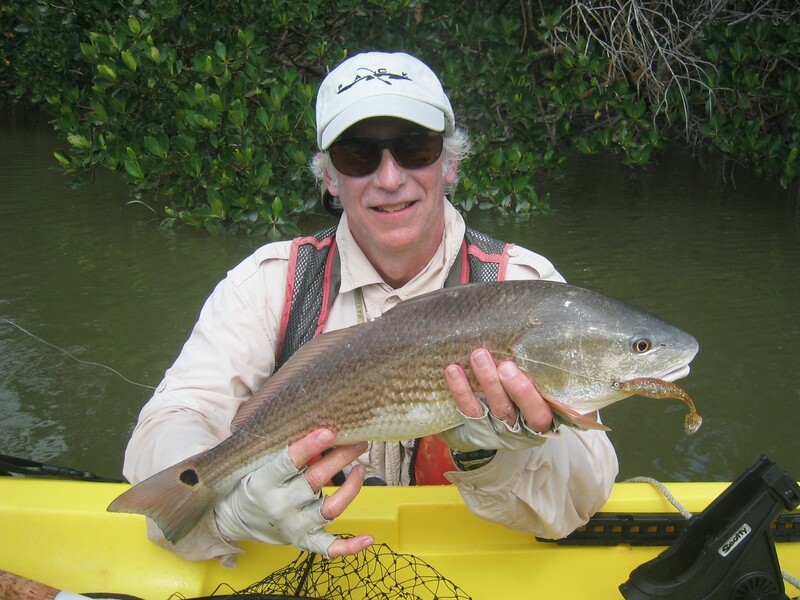 One of those fellows had a contact in Florida so several of us traveled to the Florida Everglades and spent 6 solid days paddling kayaks as we searched for snook, red fish and speckled trout. Fish all day, eat, sleep a little and then back on the water the next morning-not bad. A little more than 10 years ago, I once again became active in the Texas Fly Fishers and began regularly attending meetings. I took all of the classes offered by the club including rod building and fly tying. I have now built several rods and am an active tyer. At this point, I enjoy tying flies almost as catching fish. While the Gulf Coast has been my primary fishing destination, a few years ago my daughter moved to New Haven Connecticut for part of her education. I, of course, recognized that her relocation provided me with an opportunity to fish the north eastern United States so I was able to give the Housatonic River a shot and was also able to travel to Vermont and New Hampshire to fish the Battenkill and other northeastern rivers. While I was up that way, I also had a fine day in the warmth of the American Museum of Fly Fishing in Manchester, Vermont where the air seemed to reek of tradition and history much like the Baseball Hall of Fame. So, looking back, it looks like I’m having a pretty good run. My daughter is now a physician and my son is an attorney. However, I prefer to look forward to the long road ahead, to peaceful days on the water, to many more sunsets and sunrises and to spending time, not only with my family, but also with the friends I am fortunate to have who also share my interest in the outdoors.